Taken as a whole, the annual Online event at London Olympia each December is a huge gathering of the information industry. Upstairs in the conference centre there are the formal conference sessions, downstairs are the exhibitors and free seminars, and around Olympia smaller satellite events take place in hotels and bars. Hence the use of quotation marks of the title of this blog posting. This is a “review” of Online 2009 from the perspective of Library and Information Science Research Coalition staff: participation was limited by the laws of physics that render it impossible to be simultaneously in more than one place at the same time. Thankfully a number of other participants have also blogged their experiences of Online 2009. These include: Brian Kelly of JISC (@briankelly); Marydee Ojala and colleagues of Information Today (@marydeeo); and Bethan Ruddock, who worked on the Mimas stand at the exhibition (@bethanar). Others have contributed posts about specific conference themes, such as Pete Cranston (@petecranston). In the New Year reviews of Online 2009 will appear in the print media. In the meantime, for a fuller picture of what went on at Olympia in the first week of December this year, please follow the links provided at the end of this entry. From the perspective of the LIS Research Coalition two themes appeared to dominate this year’s conference: (1) social media and (b) the semantic web. 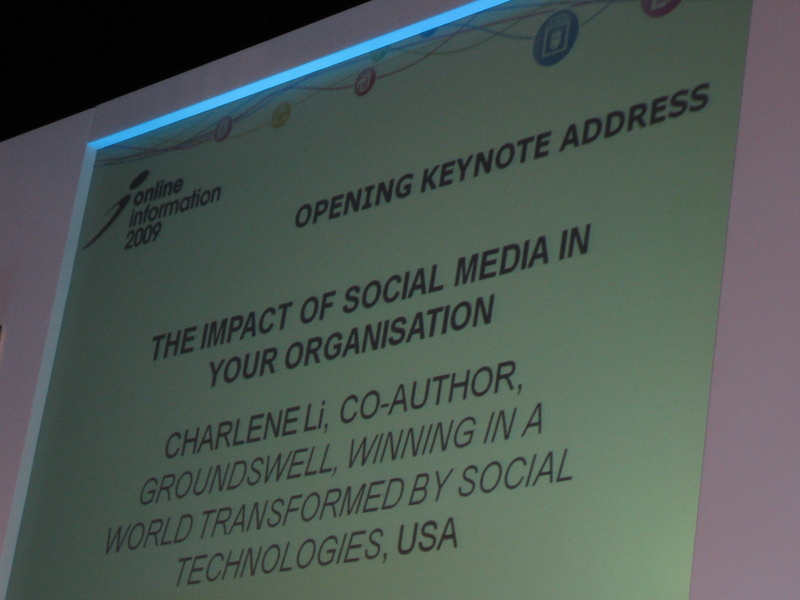 In her opening keynote on the Thursday morning Charlene Li, co-author of Groundswell, made sense of much of the discussion of social media of the previous two days that had taken place in formal conference presentations and face-to-face conversations, as well as along the conference’s Twitter back-channel. It is now obvious that the time has come where engagement in social media is not optional for any organisation that hopes to maintain its competitive advantage. We are also now witnessing the impact of social media internally, for example on organisational structures, particularly in terms of communication and reporting. In contrast the conference sessions on the semantic web gave the impression that those in library and information science related roles are now beginning to consider the exploitation of data to data links, although it is not yet obvious where the greatest commercial benefit will lie in doing so. Other sessions of particular interest to the Research Coalition were those related to the future roles of information professionals. Professor Blaise Cronin’s discussion of the paradox of a postmodern profession made some astute observations, not least that long-term predictions on the future of library and information services by experts are often inaccurate. It was interesting to hear that an analysis of citations of LIS research literature shows that researchers from other domains are increasingly drawing on this body of work, thus indicating that its impact is growing in the research mainstream. Bob McKee, Chief Executive of CILIP (a founding member of the LIS Research Coalition) took advantage of the discussion following Professor Cronin’s presentation to refer to CILIP’s forthcoming “big conversation” on the LIS profession in 2010. Both in the conference sessions and on the exhibition floor there were opportunities to see demonstrations of products and services that could be adopted by library and information services. Ellysa Kroski, for example, gave many examples of how libraries in the US are using social computing applications to their full potential. It was surprising to a few, however, how little mention was made of Google Wave in Online week. On the Thursday morning Hazel Hall gave an introductory presentation about the LIS Research Coalition to Online 2009 delegates. This covered the background to the formation of the Coalition and its broad mission to provide a formal structure to improve access to LIS research, and to maximise its relevance and impact. Taking each of the five specific goals of the Coalition, she explained the progress so far that the Coaltion has made on each. Hazel encouraged the audience to visit the web site at http://lisresearch.org, as well as follow @LISResearch on Twitter. She hoped that delegates would be able to keep Monday 28th June 2010 free to attend the forthcoming LIS Research Coalition conference. Hazel’s slides Introducing the UK Library and Information Science Research Coalition are available on SlideShare. 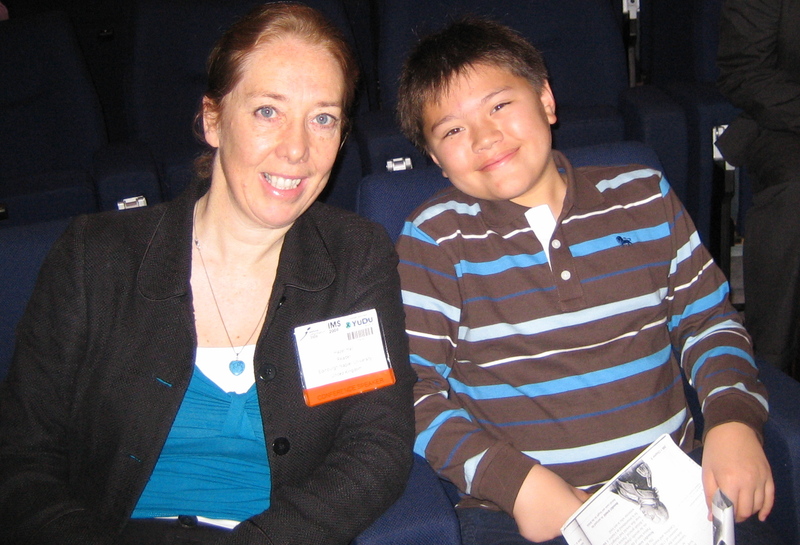 Hazel Hall with Ben, the youngest delegate and son of one of the speakers at Online 2009. Throughout the three days of the conference, as well as on the Monday evening at a lively TFPL Connect event, Hazel met with a number of people interested in and enthused by the work of the Coalition. She accepted a number of speaking and writing invitations, the details of which will be publicised in due course. This is Brian’s main review of the conference, in which the LIS Research Coalition is mentioned. In this blog posting Brian provides a comparative analysis of the Twitter activity of Online 2009, taking into account activity at two other conference that took place in the same week. 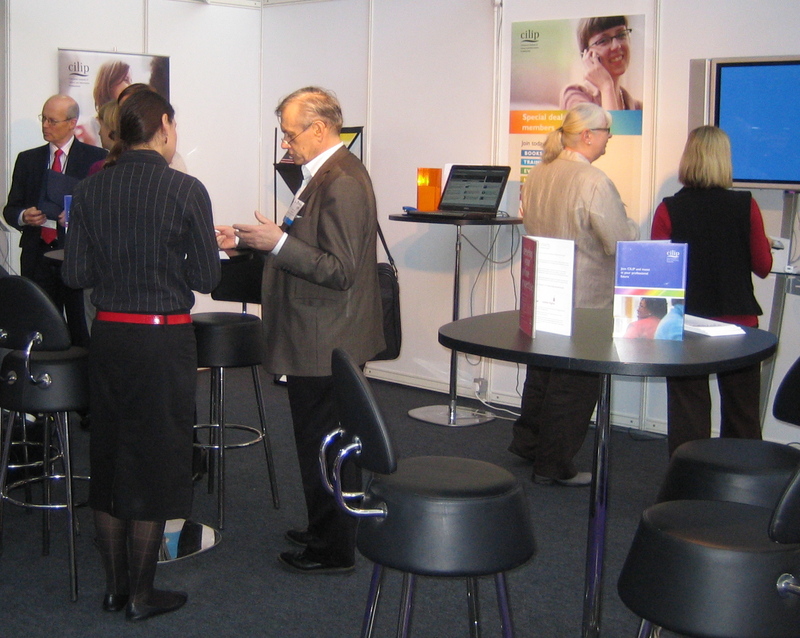 http://www.infotodayblog.com/conference/pastconferences/oi/online-information-2009. This link brings together all of Marydee’s reports, and those of her colleagues, on Online 2009 for Information Today. http://thegiraffe.wordpress.com/2009/12/04/linked-open-data-web-or-not-the-semantic-web. These are Pete’s reflections on the semantic web. 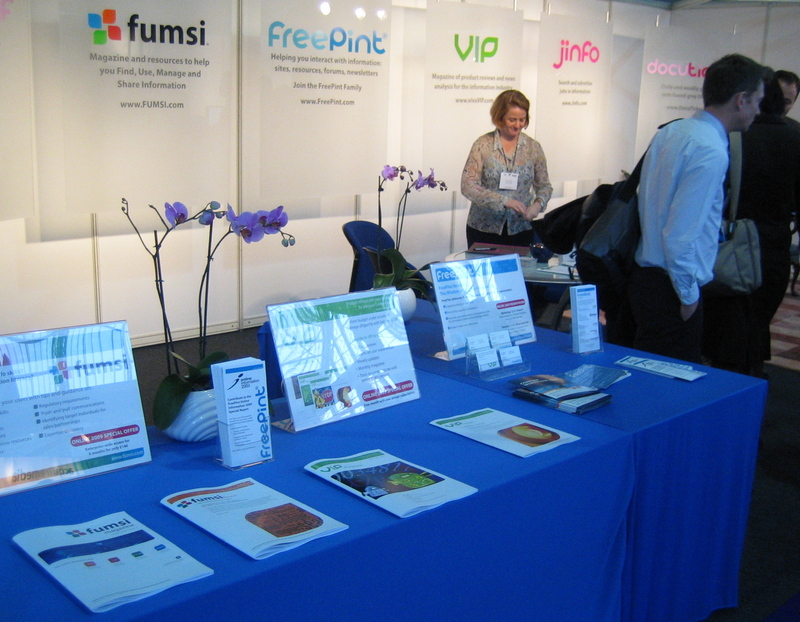 Blog posting by Bethan Ruddock, Mimas (@bethanar): http://bethaninfoprof.wordpress.com/2009/12/04/online-09-the-aftermath Bethan’s report gives a flavour of work on an exhibition stand at Online 2009.